Miracles are the acts of God that is provoked by Men. When men engage their power of possibility, then God will erase Impossibility. When men turns their hearts to God, Then God will engage His hands. When men believe in their heart then God will do what eyes have not seen. What is too hard for men to do is too cheap for God to accomplish. But God will not happen unless men is ready by their actions. What is beyond men imagination and capacity to accomplish is at the fingertips of God. Unfortunately God will not perform the miracle until men get involve and do what they needed to do. 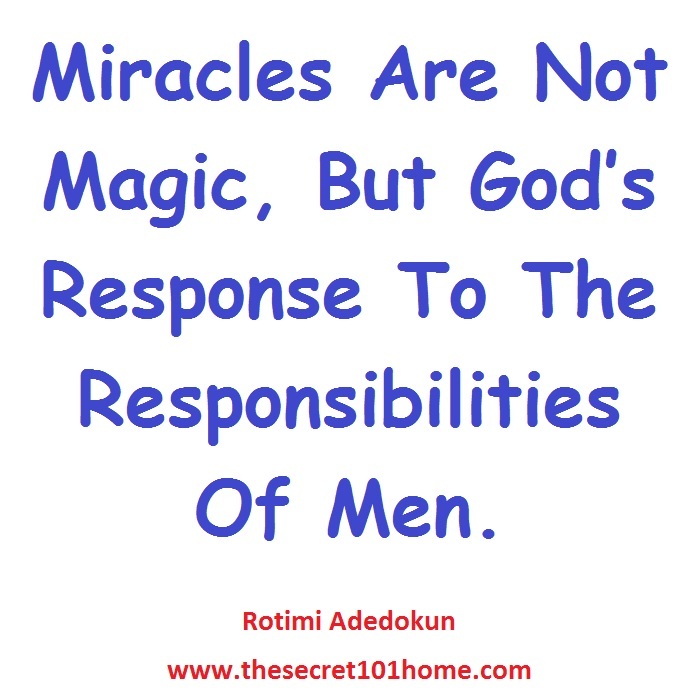 Miracles are not magic but God’s response to the responsibilities of men. There will never be a miracles of financial independent if men keep breaking the law of 70 and 30. There will never be a miracles of peace if men keep putting their trust in other men. There will never be miracles of family success if husbands and wives keep breaking the law of love and respect. There will never be miracles of good future if the laws of vision, discipline, dedication, sacrifice and commitment are not obey. The secret is this, when you do what you need to do God will do what He needs to do. The good-news is that you can count on God. He abides faithful He cannot deny Himself. You can trigger miracles in your way this morning. That is, if you want to get the invisible God to work for you, I want you to do get involve by doing the necessary. Remember everything is possible if you are positive and everything is available if you are accessible. 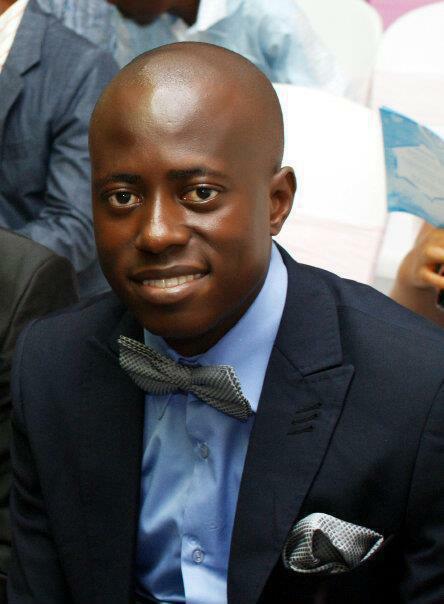 This entry was posted in Life and Time Management, Self Development, Spirituality, The Secret, Vitamin Of The Mind and tagged How To See The Miracles Of God, How Tow Trigger Miracles, Miracles, Miracles By Bishop David Oyedepo, Miracles By Jim Rohn, Miracles By Pastor E A Adeboye, Miracles By Rotimi Adedokun. Bookmark the permalink.